On the 19th October 2018, country duo, Hengistbury, launch their brand new single ‘Shooter on the Mound’ and debut album ‘Add Another Minute’. 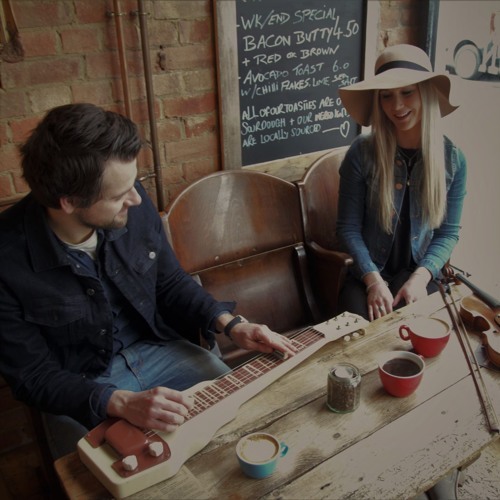 Recorded in the band’s tiny studio on the Dorset coast, Hengistbury (AKA Jessie Mary and Pete Briley) have delved deep into the array of instruments available to them to create a sound that is “distinctly unique” (Nexus Music Blog) and “Charmingly Country” (Craving Country UK). The conclusion of their sonic exploration is their debut album ‘Add Another Minute’ and their second single ‘Shooter on the Mound’. Formed in November 2017, Hengistbury launched their debut single ‘What Folks Don’t Know’ to widespread acclaim with features, interviews and live performances on the likes of Russell Hill’s Country Music Show, Off the Record, The Music Scout, UK Country Music, Nexus Music Blog, Craving Country, Folking.com, and Belles and Gals. They were featured in Lyric Magazine’s Hottest Country and Spotify’s Country Mix 2018 playlists. They were also named Artist of the Week by Richer Unsigned and Q Magazine. ‘Shooter on the Mound’ and the full album ’Add Another Minute’ will be available worldwide from all major digital stores and physical copies can be purchased via the band’s website.